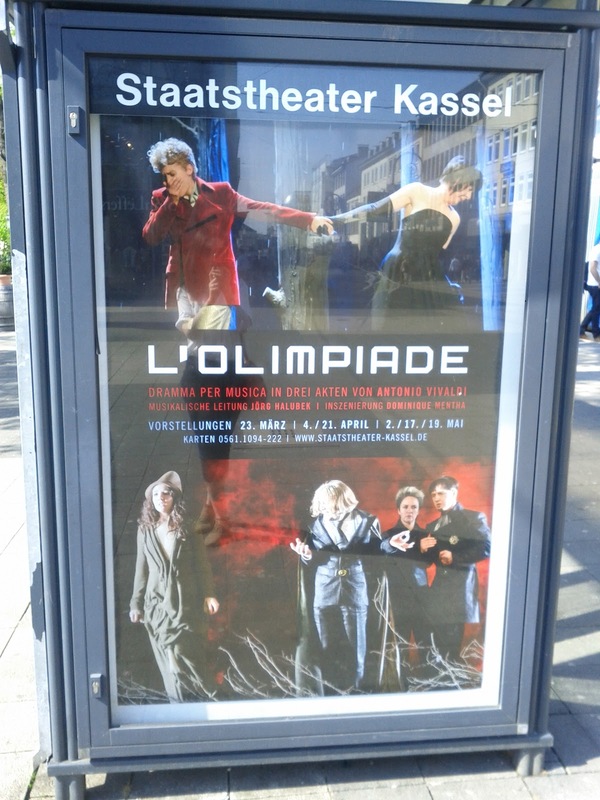 Above, the early May sun shines on one of the L'Olimpiade posters up around Kassel. In fact, we have been extraordinarily lucky with the audience and press response to this little-known Baroque opera. My character ('Argene', bottom left with the pointy hat on) has particularly caught the public imagination, being as she is a child of nature, driven by a single-minded passion for a man who has long-since tired of her, and very much wearing her heart on her warm woollen sleeves. "Belinda Williams as Argene won the laurel wreath: her young, untarnished, already very flexible voice was worthy of the Gold." 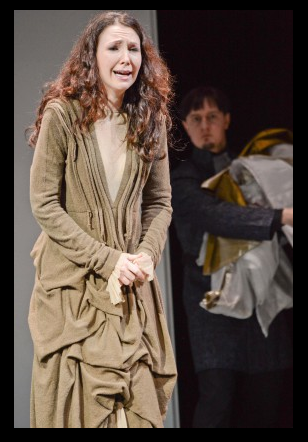 "Belinda Williams as Argene demonstrated fine Baroque vocal art"
"The evening's biggest applause went to LinLin Fan and Belinda Williams ... Williams arouses enthusiasm as the jilted Argene with her wonderful mezzo voice which fascinates with its freshness and youth." "Belinda Williams is a great vocal pleasure"